Townhomes, Quail Run associative issues, grass destroyed on west side of playground, to be build up in spring time. Addressing the landscaping under the power lines and how the weeds are bad. Talked about the lack of lighting on the Grey Goose pavilion, possible solutions mentioned. Amy to respond to Taj Mecham and request he put together a suggestion on lighting and submit that to the board. CC&R's and Bylaws review: Information given to us by attorney, Brad Smith took lead of discussiont o explain the alterations and rewrites within the documents. Needs 67% approval from the community. Choose to send out link to community to be able to review documents for 15-30 days. Plan to have an open forum meeting at the end of the time period. We need 266 responses in favor for this to pass. What we need to do: post online the CC&R's, something drafted to send out to homeowners, timeline date, meeting with board and townhome board open house review (that time will be good to ask for volunteers too), post online in newsletter and Facebook to get volunteers for door to door, deadline to receive them back by so we can organize door to door. Kenny Wilson to get a final draft from attorney for dissemination to the community. Community has until Nov. 30 to review and make suggestions. Brad Smith to write the draft email to send to community ASAP. Need to find a date and place to hold the next meeting - tba. Kenny Wilson to compile all feedback and send back to board members to review and send to attorney. Deadline to send to attorney is Dec. 4, 2017. CEC events still to take place: Hot chocolate social at the end of the year? December 16, 2017. Mid-day social with hot chocolate. Amy to notify CEC of desired activity. Also use the activity to collect more signatures on the CC&R's. Audit follow up: What has been done? Review. Email and text Luke Langford to no avail says Kenny Wilson. Follow up still needs to be done. Jack Buckley, Frank Evans and Luke Langford still need to get together. Set to look at prior to the 15th of December if possible. Reserve study done by Wasatch Reserve Study starting this July/August 2017 - All members of board get input in by Sept. 15. Was that done? What still needs to be done to complete this task? Review study. No input was given other than we need to update reserve funding. 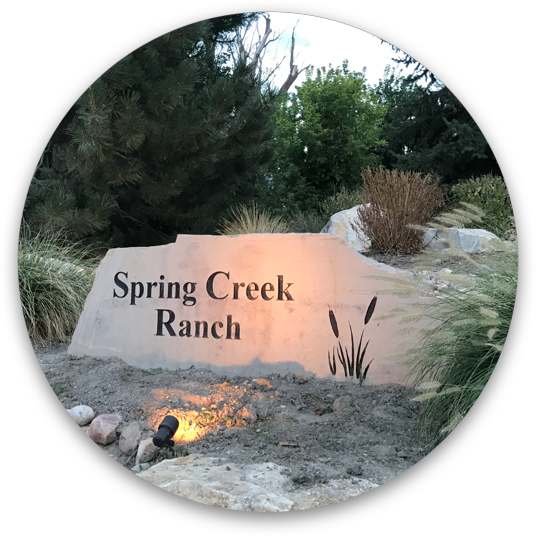 Need to wait to complete this until the CC&R's are complete, at which time we would combine the reserve studies of Quail Run and Spring Creek Ranch. Contract with K&R - contract ends at the end of December. Then goes month to month. We would like to get a contract again instead so we do not get dropped suddenly or fees changed. Vote to lock in rate and contract for 2 years, voted yes from all board members. Were nets taken down? Yes. Was tennis coach told to no longer use the courts? Yes. Metal roof on shed - was that taken care of? Yes. Electing new board members - what do we need to do before the next HOA meeting? There are lots of people up for consideration that need to get information to Kenny Wilson for upcoming newsletter and ballot. Any new items to budget for new year 2018? Weed control, grass and sprinklers in North end of Grey Goose by Pavilion. $20,000 allotted for 2018 for landscaping improvement so the money is tight and needs to be spent wisely. Creek trail ideas - we need to get a better system to get the creek cleanup done effectively, to be discussed with next landscape person. Possible organized groups with set times, by street, possibly provide trash bags, gloves, set assignments, adopt a highway idea with the stream. Carports for consideration - executive session for review. Any other questions/concerns? - none at this time. Next meeting: January 9, 2018, 7 pm. Kenny to try and obtain Super 8 or Best Western by Lehi Main Street. Monthly meetings suggested, discussed that it was easier to keep good communication when doing monthly meetings. Will be decided by next board how often meetings will be.